Today author Caroline T. Patti takes over our blog to talk to us about Diversity in YA. 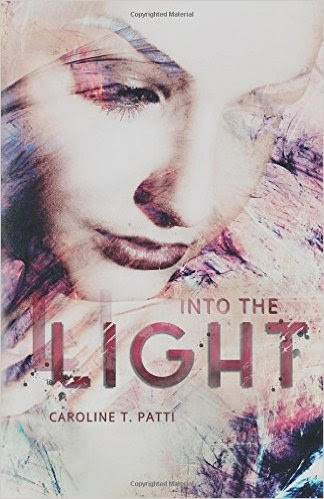 Her latest novel, Into The Light (23 August 2016, Month9Books, LLC., 267 pages), is a Young Adult Paranormal Romance, book two of the Into the Dark series. “The dialogue is fantastic, the plot well structured, and the action nonstop, and the suspense of who is telling the truth will keep teen readers captivated right through the end. There is just enough introspection to keep readers engaged with the characters, but not too much to keep them away from the fast-paced action.” —School Library Journal on Into the Dark. 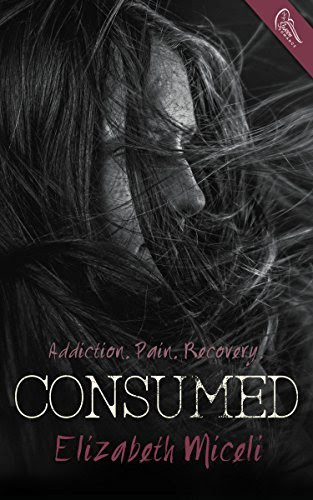 Thank you for joining us on the Virtual Book Tour for Consumed, a Contemporary New Adult by Elizabeth Miceli (31 August 2016, Swoon Romance, 185 pages). This is the second book in the Barren series. 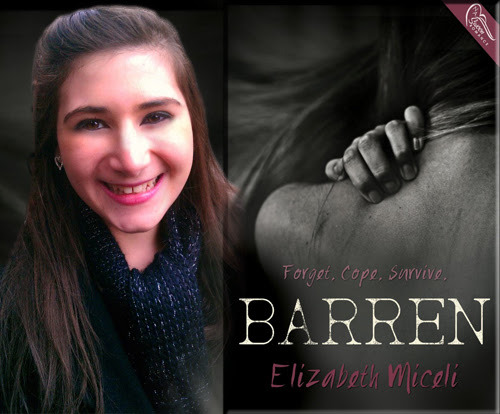 Check out our interview with author Elizabeth Miceli, where she spoke to us about the first book, Barren. Author Elizabeth Miceli will be awarding a $5 Amazon/BN gift card and a digital copy of Consumed to two randomly drawn winners via Rafflecopter during the tour (there are two separate giveaways). 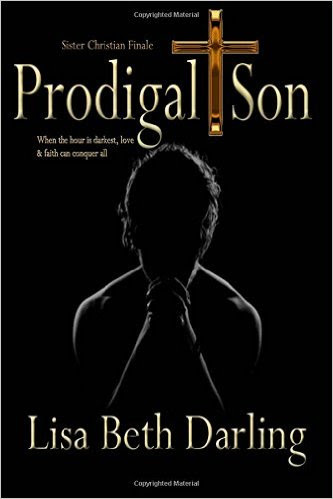 Thank you for joining us on the Virtual Book Tour for Prodigal Son, a Contemporary Fiction novel by Lisa Beth Darling (30 August 2016, Moon Mistress Publishing, 534 pages). This is the fourth and final book in the Sister Christian series. Author Lisa Beth Darling will be awarding a digital copy of Prodical Son to three randomly drawn winners via Rafflecopter during the tour. Please do take part: comment on our post and follow the tour where you will be able to read other excerpts (☀). 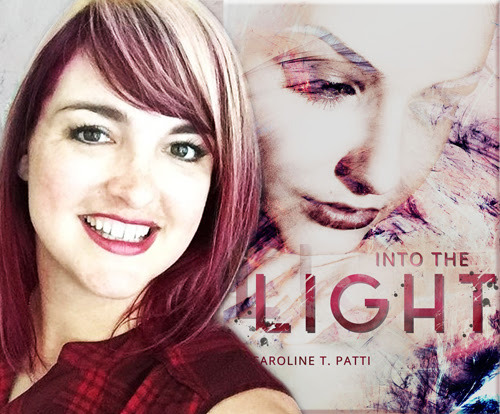 Thank you for joining us on the Virtual Book Tour for Into The Light, a Young Adult Paranormal Romance by Caroline T. Patti (23 August 2016, Month9Books, LLC., 267 pages). This is the second book in the Into The Dark series. 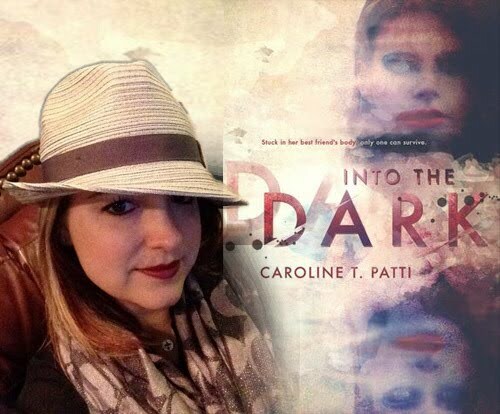 Check out our interview with author Caroline T. Patti, where she spoke to us about book one, Into The Dark. Don't miss our Guest Post by author Caroline T. Patti where she talks about Diversity in YA. Author Caroline T. Patti will be awarding a scrabble tile book cover charm (US ONLY), and five dital copies of Into the Dark and Into the Light by Caroline T. Patti (INT) to randomly drawn winners via Rafflecopter during the tour. Please do take part: comment on our post and follow the tour where you will be able to read other excerpts (☀), interviews (ℚ), reviews (✍) and guest blog posts (✉). Thank you for joining us on the Virtual Book Tour for Recall, a Contemporary Thriller by David Mccaleb (30 August 2016, Lyrical Underground, 242 pages). PREVIEW: Check out the book's synopsis and excerpt below. Read the first two chapters with Kobo Preview.. 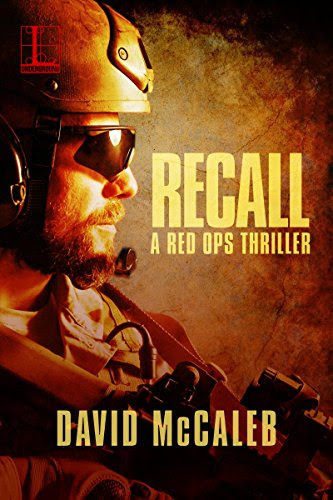 Author David Mccaleb will be awarding a digital copy of Recall to a randomly drawn winner via Rafflecopter during the tour. Please do take part: comment on our post and follow the tour where you will be able to read other excerpts (☀). Thank you for joining us on the Release Day Celebrations for When a Marquis Chooses a Bride, a Regency Historical Romance by Ella Quinn (30 August 2016, Zebra Shout, 320 pages). This is the second book in The Worthingtons series. 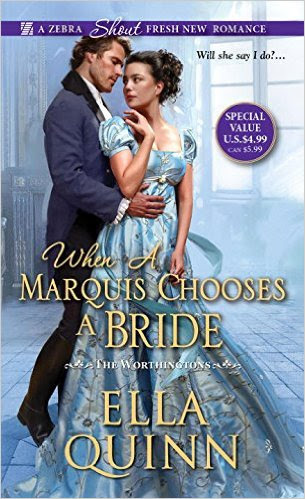 Author Ella Quinn will be awarding a signed ARC of When A Marquis Chooses a Bride (US ONLY) to five randomly drawn winners via Rafflecopter during the tour. Please do take part: comment on our post and follow the tour where you will be able to read other excerpts (☀), reviews (✍). 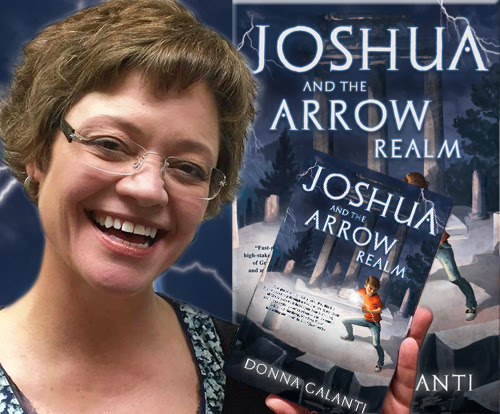 Today we have the pleasure of meeting up with author Donna Galanti to talk about Joshua and the Arrow Realm (30 August 2016, Tantrum Books, 278 pages), a Middle Grade Fiction Fantasy Adventure, book two of the Joshua and the Lightning Road series. Thank you for joining us on the Virtual Book Tour to celebrate the release of Beneath a Thousand Apple Trees, a Coming of Age Fiction novel by Janie DeVos (30 Aug. 2016, Lyrical Press, 228 pages). PREVIEW: Check out the book's synopsis and excerpt below. Read the first six chapters with Kobo Preview. 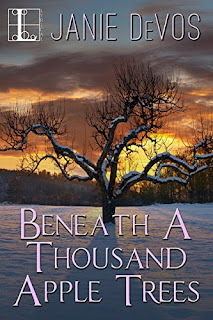 Author Janie DeVos will be awarding a digital copy of Beneath a Thousand Apple Trees to a randomly drawn winner via Rafflecopter during the tour. Please do take part: comment on our post and follow the tour where you will be able to read other excerpts (☀). 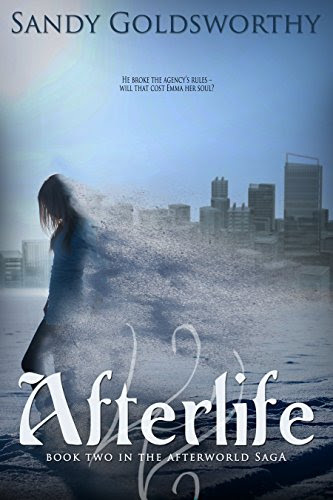 Thank you for joining us on the Virtual Book Tour for Afterlife, a Young Adult Paranormal Romance by Sandy Goldsworthy (29 August 2016, Clean Teen Publishing, 300 pages). This is the second book in The Afterworld Saga. Download the prequel novel and the first book in the series FREE! Author Sandy Goldsworthy will be awarding a Clean Teen Publishing Mystery Box to a randomly drawn winner via Rafflecopter during the tour. 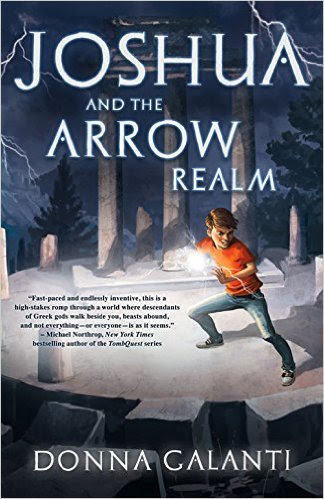 Thank you for joining us on the Virtual Book Tour for Joshua and the Arrow Realm, a Middle Grade Fiction Fantasy Adventure by Donna Galanti (30 August 2016, Tantrum Books, 278 pages). This is the second book in the Joshua and the Lightning Road series. Don't miss our interview with author Donna Galanti. PREVIEW: Check out the book's synopsis, trailers and excerpt below. Author Donna Galanti will be awarding a scrabble tile book cover charm (US ONLY) to a random winner, and a digital copy of Joshua and the Lightning Road AND Joshua and the Arrow Realm by Donna Galanti (INT) to five randomly drawn winners via Rafflecopter during the tour. 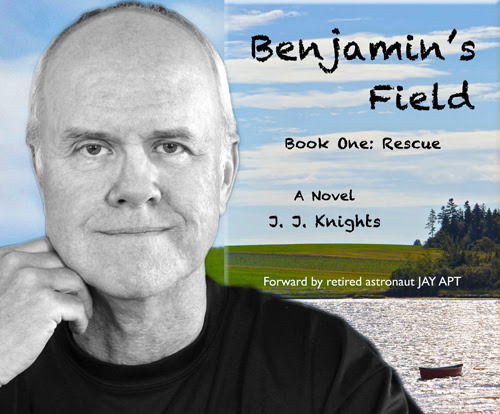 Today we have the pleasure of meeting up with author J. J. Knights to talk about Benjamin's Field Trilogy , a Young Adult Historical Fiction trilogy. Benjamin's Field is an epic trilogy about the journey of life... three generations of success & failure, joy & pain, forgiveness & healing. "emotional and highly-charged with values." - Barbara Schatt, Amazon reviewer. Don't miss our interview with author J. J. Knights. PREVIEW: Check out the books' synopsis and excerpts below. 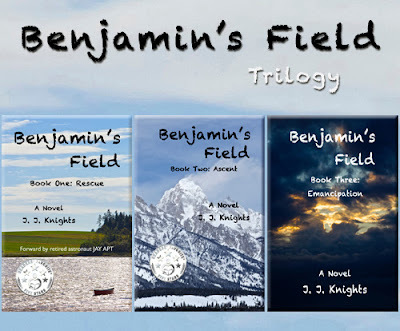 Benjamin's Field Trilogy is FREE on Kindle Unlimited and Kindle Owner's Lending Library. 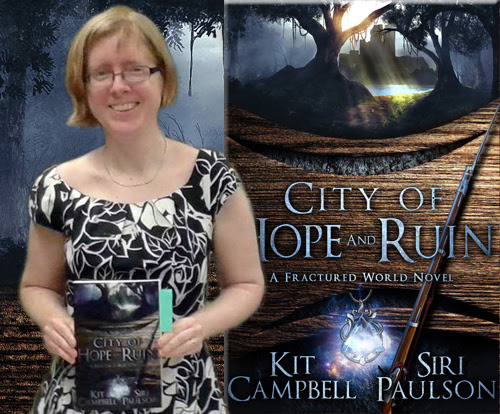 Today we have the pleasure of meeting up with author Kit Campbell and Siri Paulson to talk about City of Hope and Ruin (11 May 2016, Turtleduck Press, 254 pages), a Fantasy with LGBTQ romance, book one of the Fractured World series. "Hi everyone! Siri here on behalf of Kit and myself…"
Hello Siri; welcome to BooksChatter! Here at BooksChatter we love music; do you have a music playlist that you used in City of Hope and Ruin, or which inspired you whilst you were writing it? 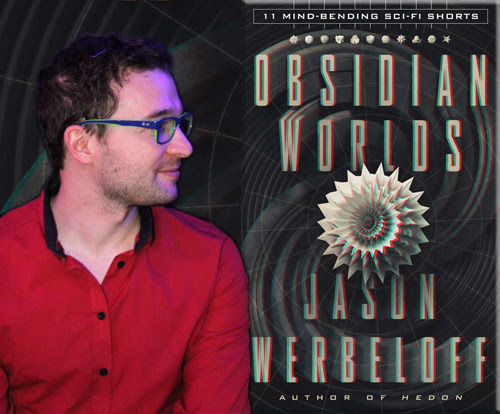 Thank you for joining us on the Release Celebrations for The Organ Scrubber, a Sci-Fi Thriller by Jason Werbeloff (23 August 2016, Jason Werbeloff, 220 pages). The Organ Scrubber is the first fragment in The Defragmenting Daniel Trilogy, which is ready for you to discover and read FREE on Kindle Unlimited and Kindle Owner's Lending Library. Grab your FREE copy until 28 August 2016! Author Jason Werbeloff will be awarding a $15 Amazon/BN gift card to a randomly drawn winner via Rafflecopter during the tour. Please do take part: comment on our post and follow the tour where you will be able to read other excerpts (☀). 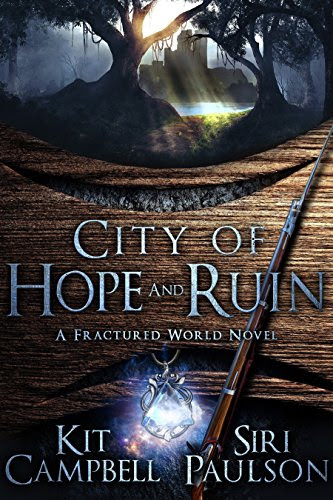 Thank you for joining us on the Virtual Book Tour for City of Hope and Ruin, a Fantasy with LGBTQ romance by Kit Campbell and Siri Paulson (11 May 2016, Turtleduck Press, 254 pages). This is the first book in the Fractured World series. Don't miss our interview with author Siri Paulson. Authors Kit Campbell and Siri Paulson will be awarding a $50 Amazon/BN gift card to a randomly drawn winner via Rafflecopter during the tour. Please do take part: comment on our post and follow the tour where you will be able to read other excerpts (☀), interviews (ℚ), reviews (✍) and guest blog posts (✉). 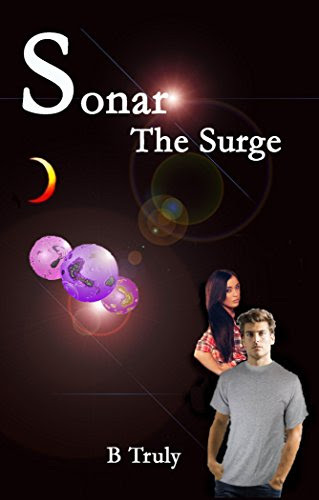 Thank you for joining us on the Virtual Book Tour for Sonar The Surge, a New Adult Sci fi Romance by B Truly (23 April 2016, B. Truly, 275 pages). This is the third book in the Sonar series, and it is on sale for only .99 until 26 August 2016! Author B Truly will be awarding a $15 Amazon Gift Card, Sonar book mark, & Sonar The Surge Photo magnet to one winner, and a $10 Amazon Gift Card, Sonar book mark, & Sonar The Surge Photo magnet to another randomly drawn winner via Rafflecopter during the tour. Please do take part: comment on our post and follow the tour where you will be able to read other exclusive excerpts (☀). 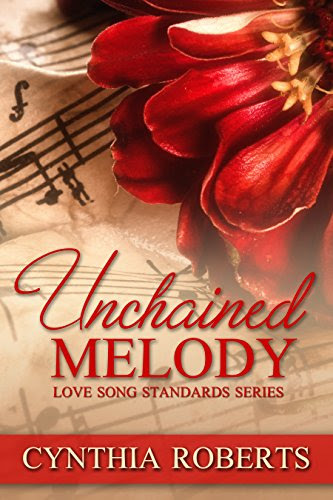 Thank you for joining us on the Virtual Book Tour for Unchained Melody, a Contemporary Romance by Cynthia Roberts (28 January 2016, Cynthia Roberts, 276 pages). This is the first book in the Love Song Standards series, and for a limited time it is on sale for only .99! 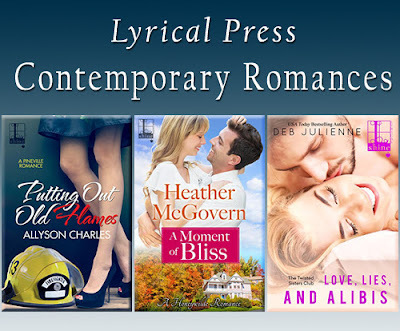 Author Cynthia Roberts will be awarding the first six E-books in the Love Song Standards Series to a randomly drawn winner via Rafflecopter during the tour. Please do take part: comment on our post and follow the tour where you will be able to read other excerpts (☀). 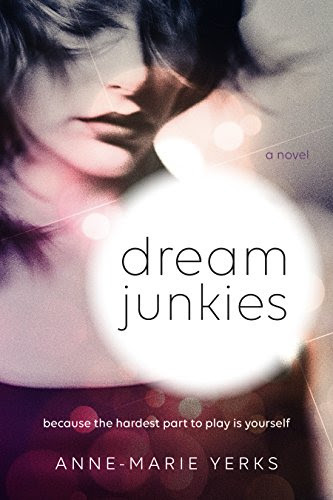 Thank you for joining us on the Virtual Book Tour for Dream Junkies, a Contemporary Novel by Anne-Marie Yerks (8 August 2016, New Rivers Press, 220 pages). Dream Junkies is FREE on Kindle Unlimited and Kindle Owner's Lending Library. Author Anne-Marie Yerks will be awarding a $50 Sephora gift card to a randomly drawn winner via Rafflecopter during the tour. 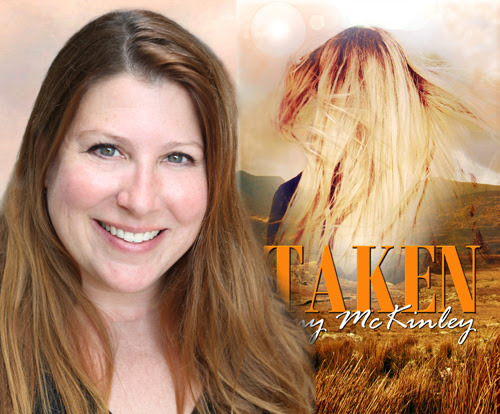 Today we have the pleasure of meeting up with author Amy McKinley to talk about Taken (6 June 2016, Champagne Books, 240 pages), a Paranormal Romance, book two of the Five Fates series. "Taken can be read stand alone, but continues in the same world as book 1 (Hidden). This is Layla's story of how she handles the fates curse placed on her and her sisters when they were born. I loved Layla's backstory and learning why she is the way she is-it was nicely done and played well into current events. The end leaves you wanting more from the series without the frustrating cliff. Another win for Amy McKinley!" - Amazon Verified Purchase, Five Stars. The authors will be awarding digital copies of all 3 books to a randomly drawn winner via Rafflecopter during the tour. Please do take part: comment on our post and follow the tour where you will be able to read other excerpts (☀). 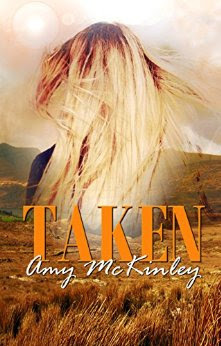 Thank you for joining us on the Virtual Book Tour for Taken, a Paranormal Romance by Amy McKinley (6 June 2016, Champagne Books, 240 pages). This is the second book in the Five Fates series. Don't miss our interview with author Amy McKinley. Author Amy McKinley will be awarding a $20 Amazon/BN gift card to a randomly drawn winner via Rafflecopter during the tour. Please do take part: comment on our post and follow the tour where you will be able to read other excerpts (☀), interviews (ℚ), reviews (✍) and guest blog posts (✉). 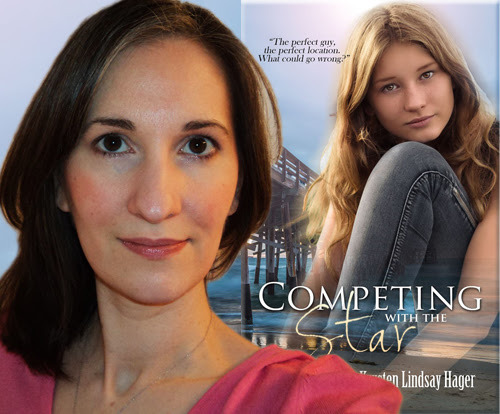 Today we have the pleasure of meeting up with author Krysten Lindsay Hager to talk about Competing With The Star (22 March 2016, Limitless Publishing LLC, 232 pages), a Contemporary Young Adult Romance, book two of The Star series. 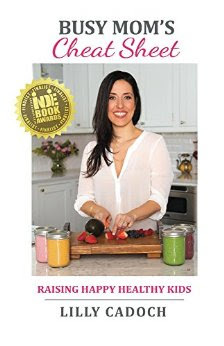 Thank you for joining us on the Virtual Book Tour for Busy Mom's Cheat Sheet: Raising Happy Healthy Kids, a non-fiction, Food & Nutrition by Picki Beli Publishing (7 August 2016, Lilly Cadoch, 117 pages). Mom’s Cheat Sheet was a finalist at the 2016 Next Generation Indie Book Awards. Busy Mom's Cheat Sheet: Raising Happy Healthy Kids is FREE on Kindle Unlimited and Kindle Owner's Lending Library. Author Lilly Cadoch will be awarding a digital copy of Busy Mom’s Cheat Sheet to two randomly drawn winners via Rafflecopter during the tour. 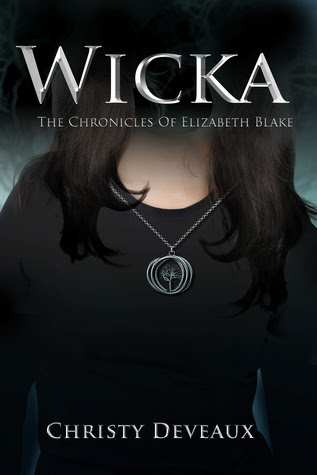 Thank you for joining us on the Virtual Book Tour for Wicka, a Young Adult Paranormal Romance by Christy Deveaux (28 May 2014, Christy Deveaux, 304 pages). This is the first book in The Chronicles of Elizabeth Blake series. Wicka is FREE on Kindle Unlimited and Kindle Owner's Lending Library and it is on sale for only .99 until 28 August 2016! Author Christy Deveaux will be awarding a $50 Amazon gift card to a randomly drawn winner via Rafflecopter during the tour. While mourning the loss of a mother figure, Elizabeth Blake, a smart but socially introverted seventeen year old girl from Ann Arbor Michigan, thinks she’s enrolling in an international school in the south of France to finish her final year of high school. 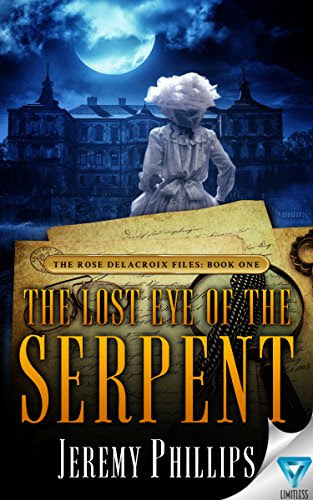 Thank you for joining us on the Virtual Book Tour for The Lost Eye Of The Serpent, a Young Adult Mystery by Jeremy Phillips (9 August 2016, Limitless Publishing, LLC, 185 pages). This is the first book in the The Rose Delacroix Files series. The Lost Eye Of The Serpent is FREE on Kindle Unlimited and Kindle Owner's Lending Library. Author Jeremy Phillips will be awarding a $10 Amazon gift card to a randomly drawn winner via Rafflecopter during the tour. 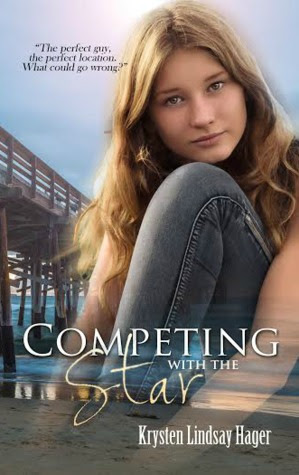 Thank you for joining us on the Virtual Book Tour for Competing With The Star, a Contemporary Young Adult Romance by Krysten Lindsay Hager (22 March 2016, Limitless Publishing LLC, 232 pages). This is the second book in The Star series. Don't miss our interview with author Krysten Lindsay Hager. Competing With The Star is FREE on Kindle Unlimited and Kindle Owner's Lending Library. Author Krysten Lindsay Hager will be awarding a $5 Amazon gift card to a randomly drawn winner via Rafflecopter during the tour. Please do take part: comment on our post and follow the tour where you will be able to read other excerpts (☀), interviews (ℚ), reviews (✍) and guest blog posts (✉). 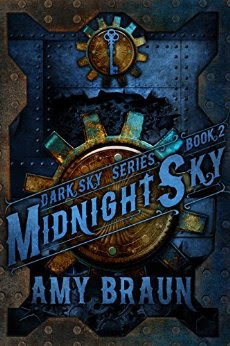 Thank you for joining us on the Virtual Book Tour for Midnight Sky, a Young Adult Dystopian Fantasy by Amy Braun (2 August 2016, Amy Braun, 223 pages). This is the second book in the Dark Sky series. Author Amy Braun will be awarding one ebook of Crimson Sky, a signed paperback of Midnight Sky, and various book swag to a randomly drawn winner via Rafflecopter during the tour. 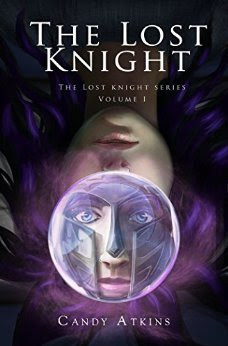 Thank you for joining us on the Virtual Book Tour for The Lost Knight, a Young Adult Fantasy by Candy Atkins (20 May 2016, Monster Publishing, Inc, 243 pages). This is the first book in The Lost Knight series. Don't miss our Guest Post by author Candy Atkins where she talks about Writing Outside the Lines with Dyslexia. PREVIEW: Check out the book's synopsis, trailer, playlist and excerpt below. Read the first four chapters with Amazon Look Inside. The Lost Knight is FREE on Kindle Unlimited and Kindle Owner's Lending Library. Author Candy Atkins will be awarding a signed copy of The Lost Knight + a $20 Amazon gift card (INTL) to a randomly drawn winner via Rafflecopter during the tour. Thank you for joining us on the Release Celebrations for Sting, a Romantic Suspense novel by Sandra Brown (16 August 2016, Hodder & Stoughton, 416 pages). 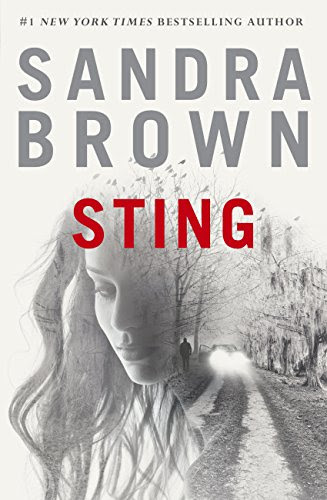 Author Sandra Brown will be awarding a Coach Tote with a signed copy of STING and a $50.00 Visa gift card (US/CAN) to a randomly drawn winner via Rafflecopter during the tour. When Shaw Kinnard encounters the incongruously elegant Jordie Bennet in a seen-better-days bayou bar, it’s not love at first sight. He’s there to kill her. Instead, he abducts her, eager to get hold of the $30 Million her brother has pocketed from his badly bent boss. Now they are on the run from said boss—and the FBI. Jordie and Shaw must rely on their wits - and each other - to stay alive. Thank you for joining us on the Virtual Book Tour for Extracted, a Young Adult Steampunk novel by Sherry D. Ficklin & Tyler H. Jolley (first published 12 November 2013; this second special edition* 15 August 2016, Clean Teen Publishing, 323 pages). This is the first book in The Lost Imperials series. PREVIEW: Check out the book's synopsis, trailers, excerpt, and trading cards below. Read the first three chapters with Amazon Look Inside. Authors Sherry D. Ficklin & Tyler H. Jolley will be awarding a Clean Teen Publishing Mystery Box to a randomly drawn winner via Rafflecopter during the tour. 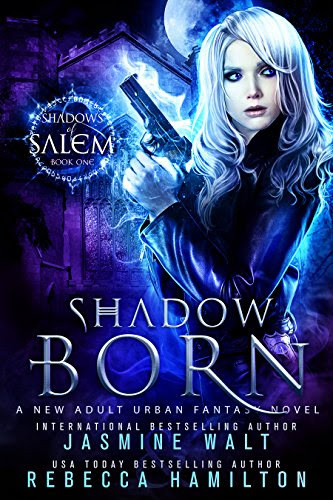 Thank you for joining us on the Virtual Book Tour for Shadow Born, an urban Fantasy by Jasmine Walt & Rebecca Hamilton (16 August 2016, Blue Bolt Publishing, 262 pages). This is the first book in the Shadows of Salem series. The authors will be awarding a $100 Amazon gift card to a randomly drawn winner via Rafflecopter during the tour. Shadows of Salem is the hit new adult urban fantasy series from New York Times bestselling authors Jasmine Walt and Rebecca Hamilton! Chicago Police Detective Brooke Chandler is keeping a secret... and if she's not careful, it could get her killed. 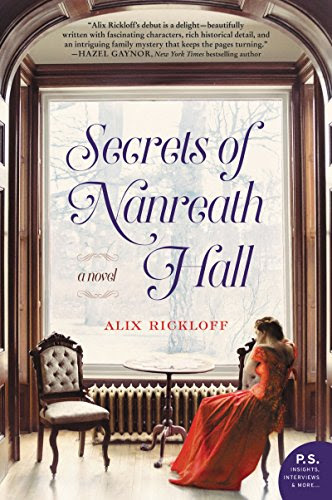 Thank you for joining us on the Virtual Book Tour for Secrets of Nanreath Hall, an Historical Fiction novel by Alix Rickloff (2 August 2016, William Morrow Paperbacks, 416 pages). Author Alix Rickloff will be awarding a copy of Secrets of Nanreath to a randomly drawn winner via Rafflecopter during the tour. Please do take part: comment on our post and follow the tour where you will be able to read other excerpts (☀), interviews (ℚ), reviews (✍) and guest blog posts (✉). 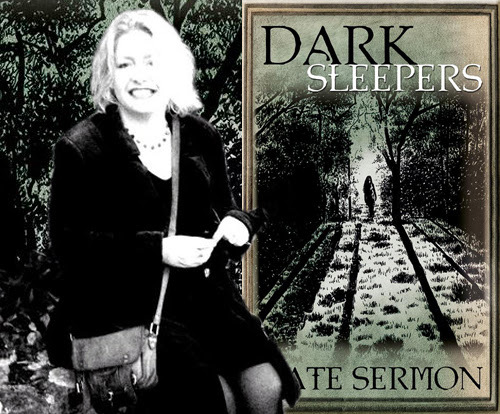 Today we have the pleasure of meeting up with author Kate Sermon to talk about Dark Sleepers (first published 31 March 2013, this second edition 14 August 2016, Kate Sermon, 303 pages), a Young Adult Magical Realism Paranormal, book one of Dark Flows the River Trilogy. Thank you for joining us on the Virtual Book Tour for Walker Revenge, a Contemporary Romance by Bernadette Marie (01/09/2016, 5 Prince Publishing, 229 pages, 57,270 words). This is the fifth book in The Walker Family series. Author Bernadette Marie will be awarding a $20 Amazon/BN gift card to a randomly drawn winner via Rafflecopter during the tour. Please do take part: comment on our post and follow the tour where you will be able to read other exclusive excerpts. ☀ Daddy's Girl - Ben Burgess Jr.